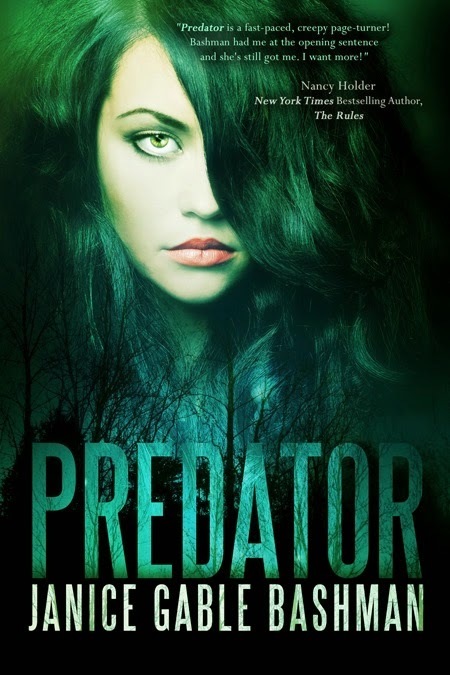 This entry was posted in Bram Stoker, International Thriller Writers, ITW, Janice Gable Bashman, Jordan Dane, Month9Books, Predator, writing tip by Joe Moore. Bookmark the permalink. Congratulations on your new release, Janice. Love the stunning cover. Welcome to TKZ. I love your ideas on spinning the familiar into something more unique. Predator is a great example of an interesting twist, using good solid research and imagination. Well done. Thanks for stopping by TKZ, Janice. Best of success with PREDATOR. Thanks so much Joe – I really appreciate it! Thanks for letting me drop by and connect with your readers- The Kill Zone is a fantastic site. I just sent you an email Amy, so if you don’t receive it for some reason let me know. Welcome to TKZ, Janice! In today’s competitive market for thrillers and other fast-paced, suspenseful fiction, twists are so important – and it’s getting increasingly difficult to come up with fresh, new ideas, I think. 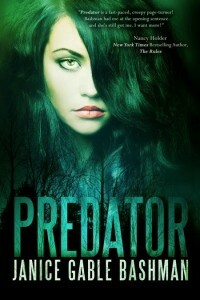 I love the cover and the premise of Predator! I bought it when it first came out a few weeks ago, and am looking forward to reading it soon! 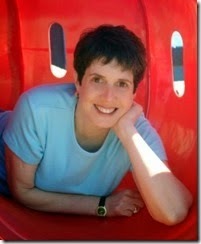 Thanks so much Jodie – it is hard to come up with new ideas and great twists, but so much fun! The sometimes agony of doing it is worth the payoff in the end, don’t you think? I hope you enjoy Predator! Hey Janice, Welcome to TKZ! One of the series of books I found to do this was Bernard Cornwell’s “Warlord Chronicles”. In that trilogy he takes the Arthur stories and weaves historical fact with the fantastical legends into a believable representation of what may have been. I love how he takes even the magic, and explains it as well played illusion and slight of hand. He also makes Arthur, Merlin, Lancelot and all the others very believable by placing them in context of the times. Glad you could put a face to my name too Basil. I haven’t read Warlord Chronicles but the series sounds like a fascinating take on the Arthur stories. Weaving fact with fantastical legend is difficult but it sounds like Cornwell did it and did it well. I’ll have to check the series out some time. I’m kind of surprised you didn’t mention Frankenstein with Jurassic Park and Sphere. I’m a huge Crichton fan myself. XD Jurassic Park was a huge part of my Master’s thesis. Trying to change things around to make an old cliche new is so much fun. I’m intrigued about your book! I didn’t even think about Frankenstein – thanks for mentioning. Fun that you wrote a big part of your Master’s thesis on Jurassic Park. Hope you you enjoy the book, and have a great weekend. I like stories with a scientific basis so I was an early fan of Michael Crichton. Now I write my own stories, but I use the scientific jargon to rationalize the paranormal elements. For example, the Bermuda Triangle is a rift between dimensions. It opens when the cosmic energy plates beneath our tectonic plates grind against each other. The pressure forces open the rift. At the event horizon, cors particles build up. When their mass is sufficient, the force shuts the rift. Otherwise, an overload of cors particles would cause….and I could go on. I do so, in my Drift Lords series. It was fun figuring all this stuff out. Sounds great Nancy, and a fantastic way to justify/rationalize elements in a story. As long as we make them believable they work for the reader. And it is fun figuring all that stuff out.